Wouldn’t it be great if there were stay at home mom jobs that actually allowed us to bring in some extra cash, give us some semblance of a career and still give us time to spend with our families? Well, I have good news! 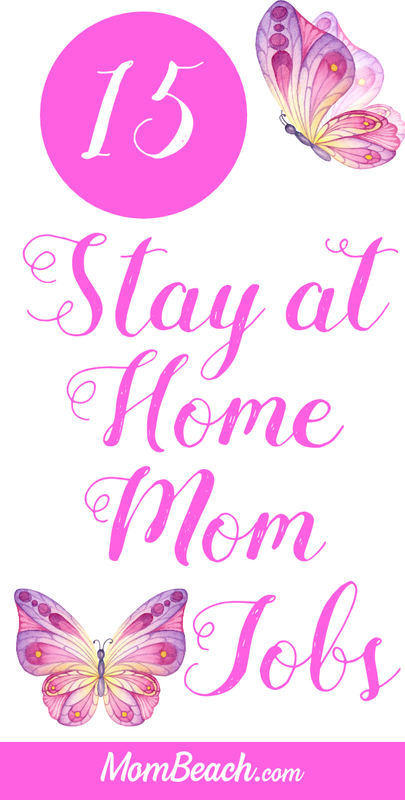 There are stay at home mom jobs that allow you to do just that. This guest post is by Jessica S. Take it away, Jessica! In my quest for improving my finances and still spend time with my family I have come across many different kinds of stay at home mom jobs. 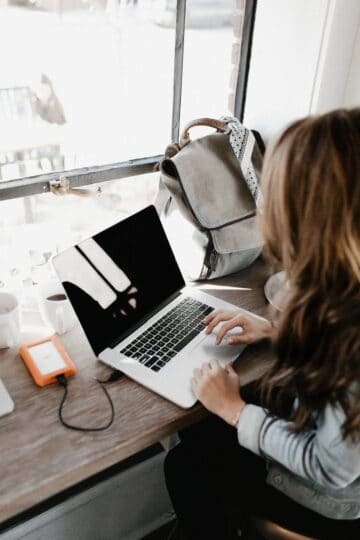 The beauty of the internet is that the whole structure of the workforce is shifting towards online, creating even more virtual jobs for stay at home moms. In fact, did you know 5.2% of the US workforce works at home? 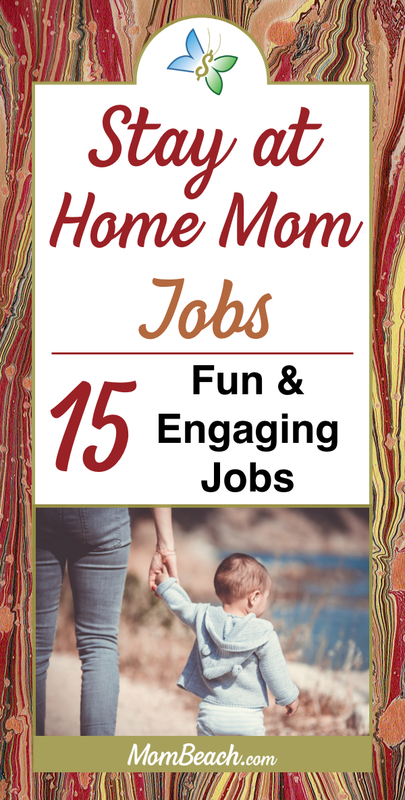 If you’re just starting to explore the possibility of working from home, here are 15 stay at home mom jobs for you to consider. 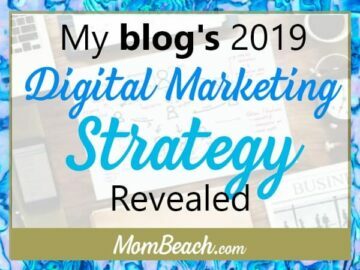 Starting a blog is a great option for stay at home moms. Getting started is easy, but it’s not for the faint of heart. In order to actually make money from a blog it will take both time and commitment, but can be extremely rewarding. A blogger uses WordPress or other content management system to write articles. 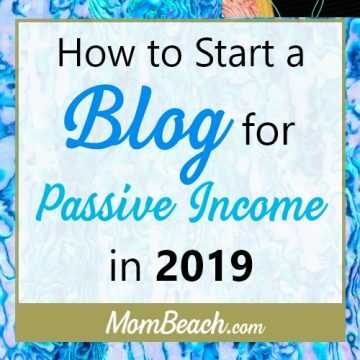 Blogging allows us to not only share our story and our knowledge, but can generate some decent income (even passive income!) with a bit of work. The sky is the limit. It could take you several months to make anything, however. 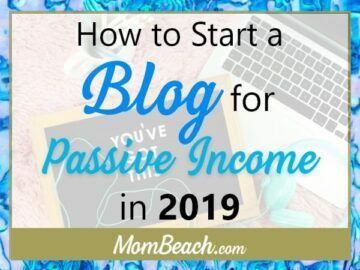 This blog has made $100 thus far and is 5 months old. You can view our latest income report to see how we made that money. How to start a blog for beginners? 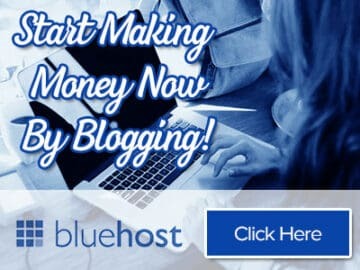 Hosting is very cheap with BlueHost. With our special link, you can save big time at $3.95 a month. Check out our very detailed guide on starting a blog. Drop shipping. Chances are you’ve heard this word, but never made the connection that it was a viable stay at home mom job. So what is it? Drop shipping is when you sell a product to a customer without holding the inventory. There are several different drop shipping companies you can work with that will ship the product directly to your customers. How much do Drop Shippers make? Some can make millions of dollars a year. 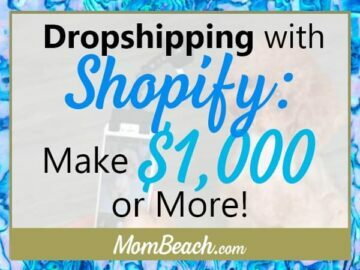 Becky at Mom Beach does drop shipping as a side hustle and earns between $5k – $10k profit each month in order to pay off debt. It is up to you how much you can make. The only thing standing between you and success is YOU! Make a Shopify store, sell the product, then buy the product from the drop shipping company who will deliver the product directly to the customer for you. 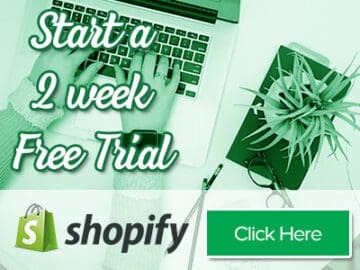 Shopify has a 2 week free trial going on now when you use our special link. 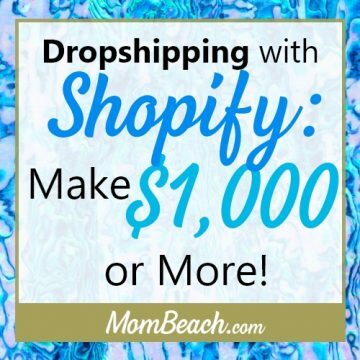 The money you make is the difference between what you sell the product for and what you spend with the drop shipping company. Check out our guide to learn more about drop shipping, for those that are interested. Are you really good at making something? Is there something you’ve made that your friends and family are always complimenting? Consider making these for others and selling them on a site like Etsy. Etsy is an online global marketplace for unique and creative goods. 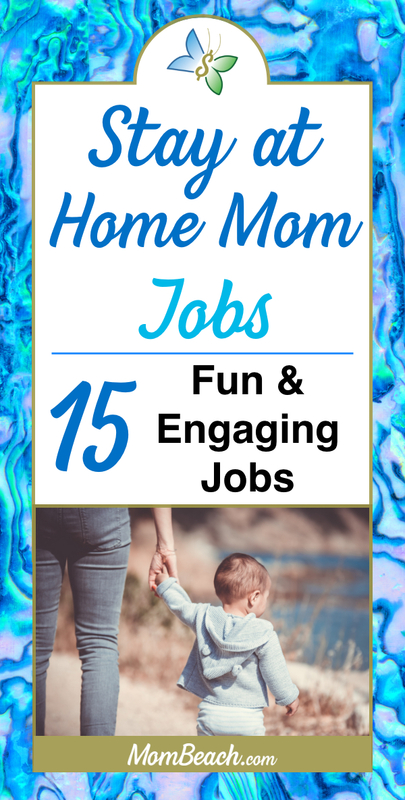 It can be a great stay at home mom job, but it is definitely something for the long haul. Getting your listings in front of customers can be a challenge as the platform grows, and will require investment of time and energy. However, if you are ready to put in the work (in addition to creating products to sell) then it can be a profitable stay at home mom job. Did you have a career before you became a stay at home mom? If so, you may have a skill set that is still needed in the workforce, which you can use as a freelancer. 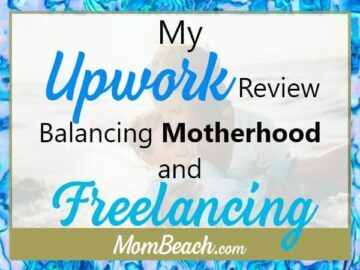 Freelancing is a stay at home mom job that truly allows for flexibility. 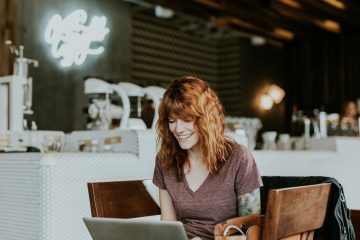 Freelancing can be done as your own business or there are several platforms, such as Fiverr.com and Upwork.com, which work to help connect clients and freelancers (which may be easier when just starting out). Whether you are a web developer, a designer, writer, photographer, engineer, paralegal, admin support, etc. chances are you can use your skills as a freelancer. 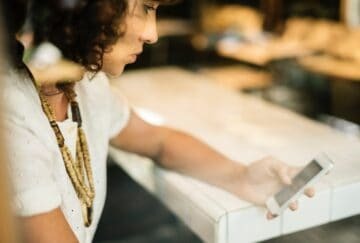 Check out our review on Upwork.com here! Transcription is a service that is needed in many different fields such as law enforcement, medicine, and law. Because transcription is typically made from a recording, it makes it ideal work for a stay at home mom. There are several different certification programs to become a transcriptionist, but training is relatively minimal. It mostly just requires you to learn the terminology and jargon of the particular industry in which you want to work. To become involved in medical transcription, there an excellent online course you can take here. Another flexible stay at home mom job is being an online tutor. Being an online tutor allows you to teach from the comfort of your own home. If you excelled in any particular subject in school or are very comfortable with a specific subject, consider becoming an online tutor. 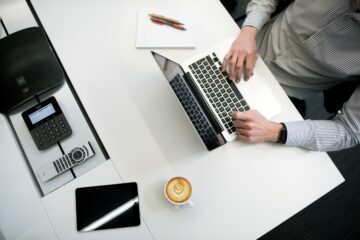 Like freelancing, there are several different platforms, like Tutor Jobs Online, that aim to connect tutors with students. If you don’t feel like using an online platform you may want to advertise in local community centers/ libraries and with friends and family. Are you always finding spelling and grammar mistakes? Do you like reading and helping others? Think about becoming an editor. Editors are needed for all kinds of work—reviewing articles, books, website copy, etc. If you are comfortable with checking grammar, spelling, looking for inconsistencies in text, and fact finding, being an editor may be just the stay at home mom job for you. 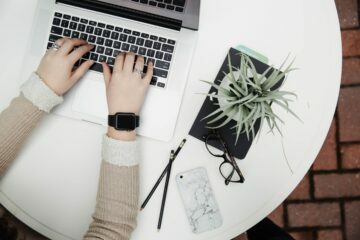 Freelancing platforms like Upwork.com and Fiverr.com have a number of editor jobs posted and you can seek out your own clients as well for your editing services. 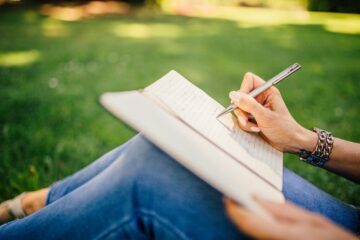 Proof Read Anywhere is a great way to get started in editing! 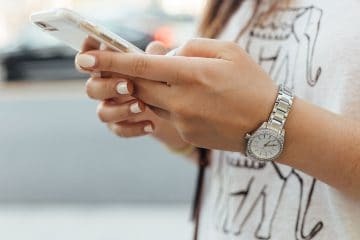 Do you love spending time on social media? Consider becoming a social media manager. A social media manager manages social media accounts for others by creating posts, responding to messages, making comments, etc. 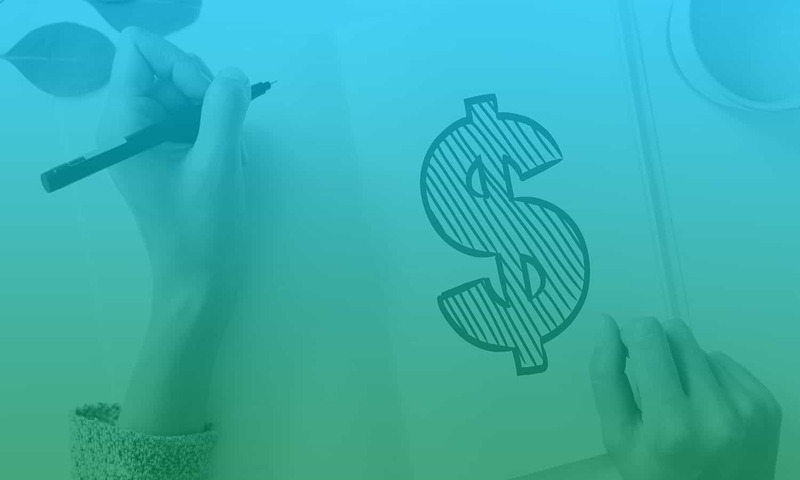 The amount of money to be made by being a social media manager will depend on the number of clients you take on and the kind of package that you offer them. To find clients, you can approach local businesses, search freelance platforms, and mention to friends and family the services that you are offering (you never know when you’ll get a referral). Maybe you don’t necessarily want to manage others’ social media accounts, but still love being online. 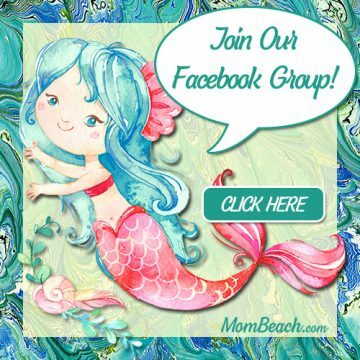 One stay at home mom job to look into is becoming an online moderator. 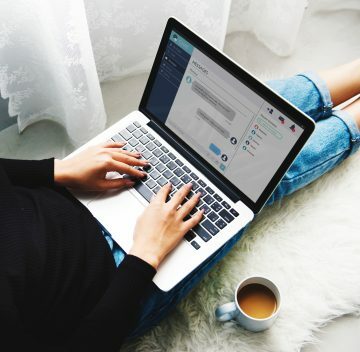 Online moderators monitor forums, blogs, and social media profiles helping the organizer resolve any fights amongst members, respond to comments, etc. In other words, you would help keep the platform functioning the way it should, consistent with its brand. Most of the time formal training is not necessary, but there are some available. 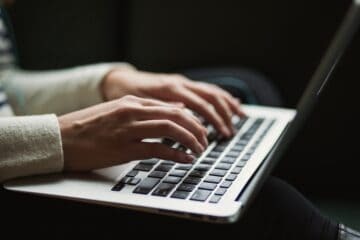 Again, as mentioned with other jobs in this list, there are platforms, like Liveworld, to help you find online moderator positions or you can offer services on your own. Do you like puzzles? Are you a wizard with words? Think about becoming a search engine optimization specialist. This is a great stay at home mom job for those that enjoy being on the computer and are good with keeping up with trends. Becoming an SEO specialist often requires self-training, which can easily be done by taking different online courses. It is simply analyzing and making changes to websites so they rank better in search engines like Google. SEO specialists are in high demand as competition continues to increase for websites to be seen. SEO services are great as a freelancer, either through your own company or via a freelancing platform. Customer service is a task that is being increasingly outsourced and is a great stay at home mom job. These positions are typically with a company and require you to have extensive knowledge of their company/product. Such positions tend to have minimal requirements and there is usually preference given to those applicants that have previous customer service experience. These kinds of jobs can be found through companies directly or via online job boards. 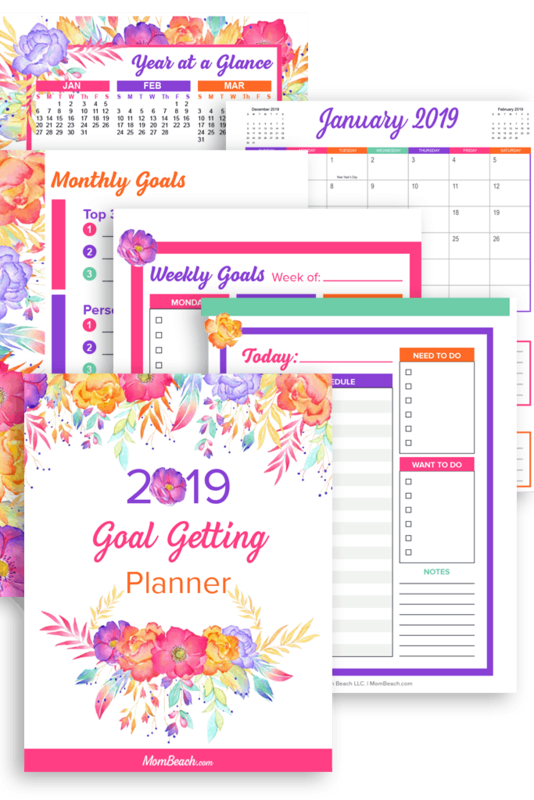 Are you organized? Do you like talking on the phone? Do you have experience with different administrative tasks? If you are looking for a stay at home mom job, you should think about offering your skills to companies as a virtual assistant. 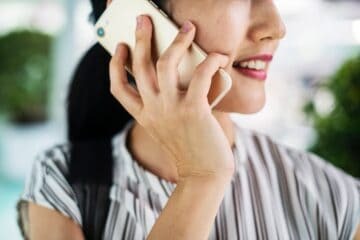 Virtual assistants are needed for copywriting, appointment setting, researching, responding to emails, data entry, and many other administrative tasks. 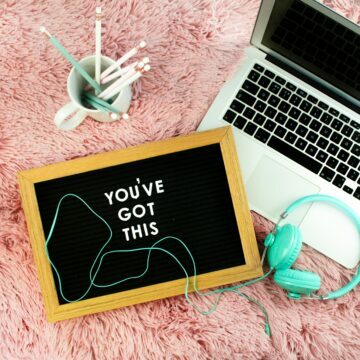 There are companies looking specifically for virtual assistants (via online job boards or freelance platforms), or there is always the option to offer virtual assistant services as your own business. 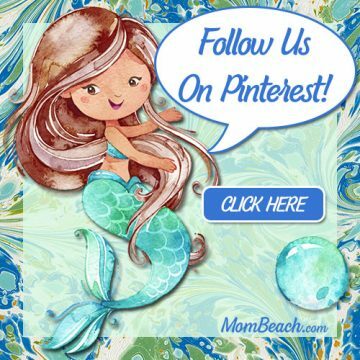 Pinterest Virtual Assistants (VA) are increasingly popular and a great career for a stay at home mom. You can sign up to become a Pinterest VA here! Do you plan the greatest vacations? Have your friends ever asked you to help you plan their vacation? Become a travel agent! Being a travel agent is a popular stay at home mom job, especially those that love to travel. 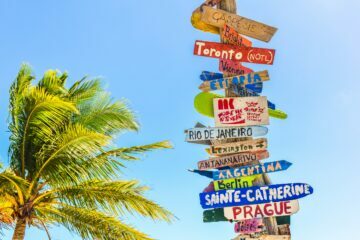 Like many other stay at home mom jobs, you can either start your own business as a travel agent, or you can work for an agency. The amount of money that can be made as a travel agent depends both on the number of clients you have and your experience. Learn how to be a travel agent today by clicking here for an online course. What is even better than being a travel agent is a Disney travel agent. You can sign up at MagicalVacationPlanner.com to help families plan their Disney vacations. Still looking for other stay at home mom jobs? What about bookkeeping? 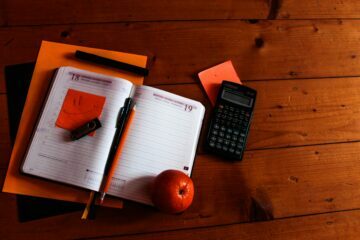 Bookkeeping can be a great option for starting your own business, a skill set that is ideal for a freelancer, or may even allow you to work with a company. It is simply keeping record of financial transactions. It is a stay at home mom job that is easy to start, even if you don’t have any experience. Simply take an online course and you are usually good to go. Pay will depend on if you are working on your own or with a company. Are you a master on Google? Do you always seem to find the gems that no one else can find? One stay at home mom job you may want to look into is becoming a researcher. Use your sleuthing skills to help find the information that others need and are unable to find. It may be fact finding for a researcher, or getting information about previous cases. Either way, it can be a viable option for stay at home moms. Look for these types of positions on a freelancer platform or even online job boards. If you are looking for a stay at home mom job as a means of simply increasing your income, you should also look into other, more creative ways as well. 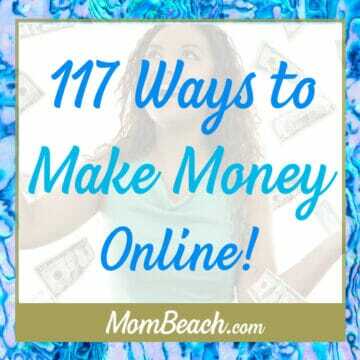 Consider using different apps that allow you to earn money, or at the least save money. One recommendation for making some extra money on the side is to use Survey Junkie and Swag Bucks. Take advantage of your time waiting in line at the grocery store or waiting for your appointment. 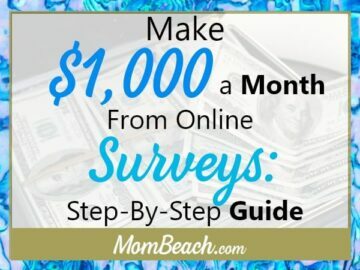 I’ll even tell you our secret strategy for earning over $1K by using Survey Junkie! 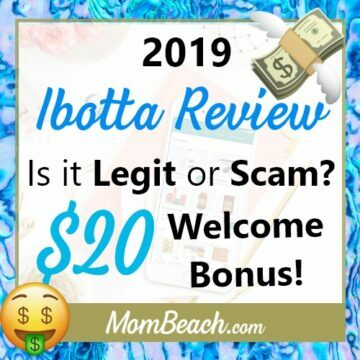 If you’re looking to save, then Ibotta is a simple solution that can be effective. You can view our guide on Ibotta here! That’s it for Stay at Home Mom Jobs? Of course not! This is just the tip of the stay at home mom jobs iceberg. As companies start shifting more of their work to remote work there will be even more options available. This is simply a list of the most common, easiest to get going stay at home mom jobs. Some you can do without any training, some require at least some kind of training (even if it is simply taking a course online), and some require extensive training. The point is, if you want a stay at home mom job, the possibilities are up to you. Put yourself out there and find something that is the perfect fit for you and your family. Even if you get no after no, keep at it. Take another course, build your skill set, and keep looking. 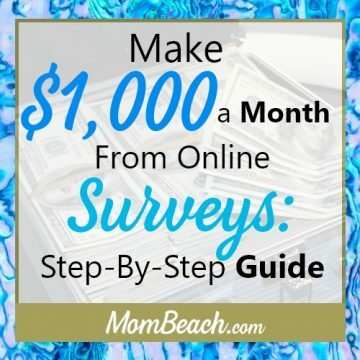 Maybe you’re destined to become a mompreneur! There are countless online job boards and platforms to help you find a stay at home mom job. However, it is important to not get overwhelmed. Rather than try to look on every job board, consider using Google. It is often the search engine you use for everything else, why not look for a stay at home mom job too? Plus, it will pull listings from online job boards, as well as company websites, saving you a ton of time and energy. When using Google to search for stay at home mom jobs you use the following equation: “career/position title” + “remote” + jobs. This should help you find what you are seeking. 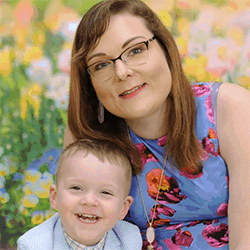 Jessica is a mother of two and author of OurGlobalLove.com, a multicultural family lifestyle blog. She lives across multiple countries while raising and homeschooling her two little ones. She enjoys sharing about their unique adventures and helping others tackle the challenges that come with a multicultural relationship/family.